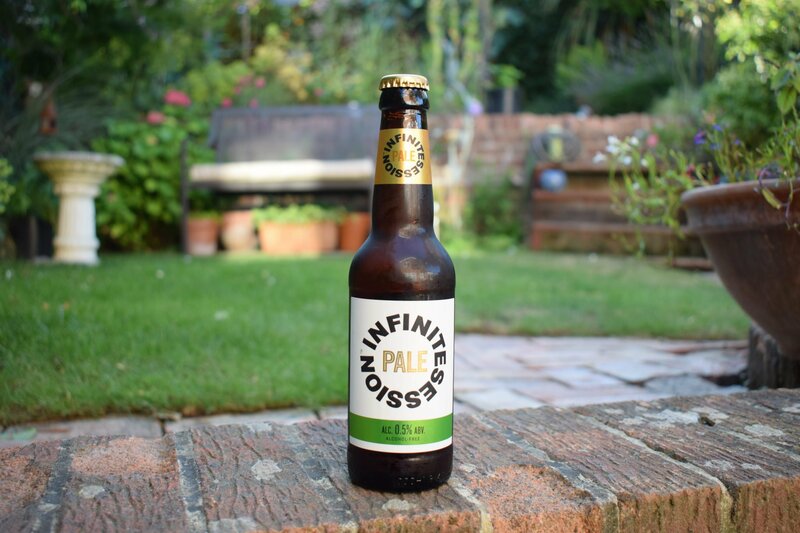 Infinite Session “Pale” is a malty aromatic low-alcohol (0.5%) American pale ale. Get tasting notes, plus find out how where it’s made, what ingredients it contains and nutritional information including sugar and calories. 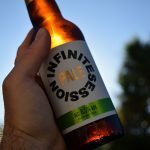 When it comes to alcohol-free and low-alcohol beers that haven’t had the alcohol removed after fermentation, it’s hard to deny that it’s the ones with a little alcohol (up to 0.5% ABV) that often taste best. 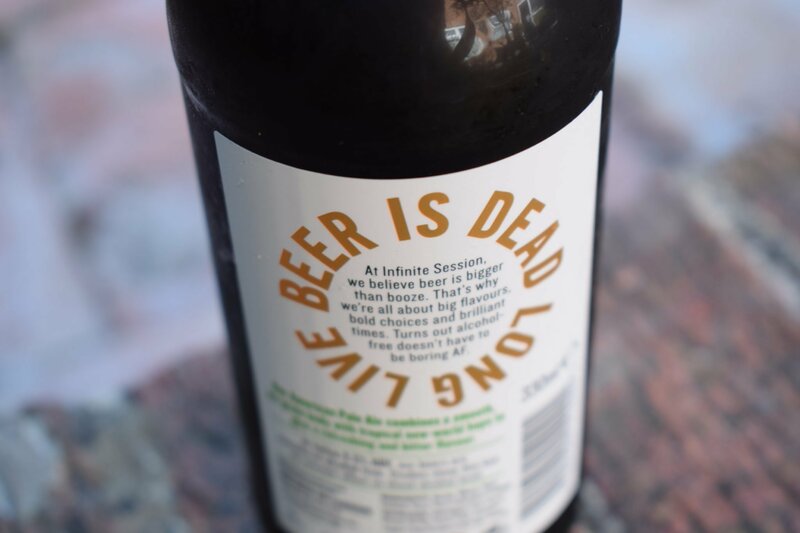 This might be one of the reasons why some breweries that produce 0% beers are against changes to labelling laws in the UK, which would allow 0.5% beers to be labelled “alcohol free” as they are in Europe and the US. One brewery, St Peter’s, has even said the proposed changes are “downright dangerous“, citing the damage alcohol can do to people. In reality, though, the amount of alcohol in a 0.5% beer is negligible and you can’t get drunk on these beers, no matter how much you drink. 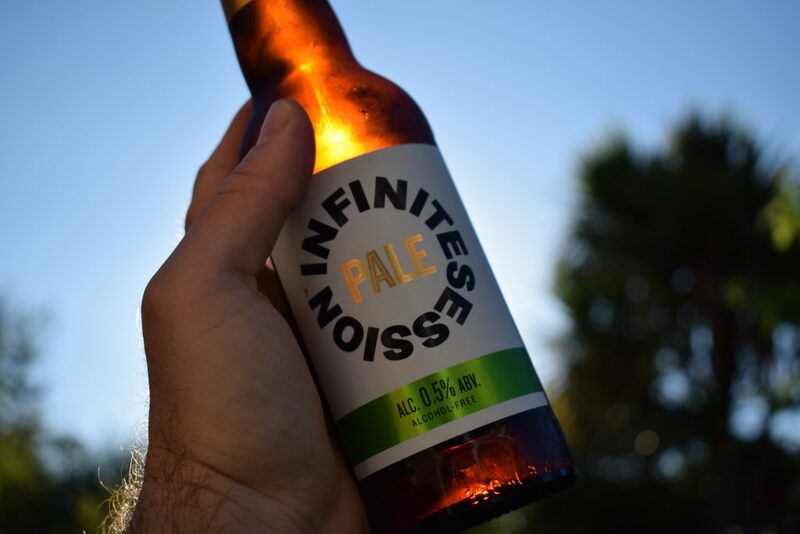 This makes the name of one of the many breweries that do support the labelling change – Infinite Session – particularly apt. Currently, Infinite Session produces one beer – a 0.5% American pale ale, simply named “Pale”. 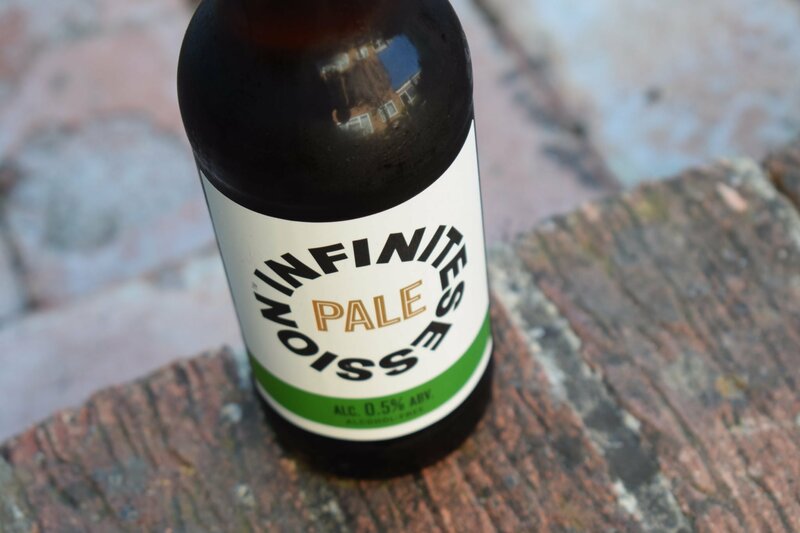 The brothers behind Infinite Session, Tom and Chris Hannaway, launched Pale in February. They brew it at Sambrook’s Brewery in Battersea, London. It contains six malts – a mix of barley and wheat – and several American hop varieties. There’s also some oats in the grain bill. Pale pours a tawny colour. It’s quite lively out of the bottle, but produces a modest white head. Darker than your typical pale ale, it looks more like a classic ruby ale and not unlike Brewdog’s 0.5% offering, “Nanny State“. It’s malty on the nose initially, with a touch of tropical fruit – mango, lychee – forcing its way through as you take a sniff. The mouthfeel is almost perfect, with good body and tight bubbles that tingle on the tongue to bring out the flavours. These start off with that malt again, which has a slight nudge towards caramel before those tropical fruits come through again with a dash of bitterness that balances nicely with the juiciness provided by the new world hops. The finish is quite dry, leaving you wanting more. That rich caramel flavour hangs around a little too. 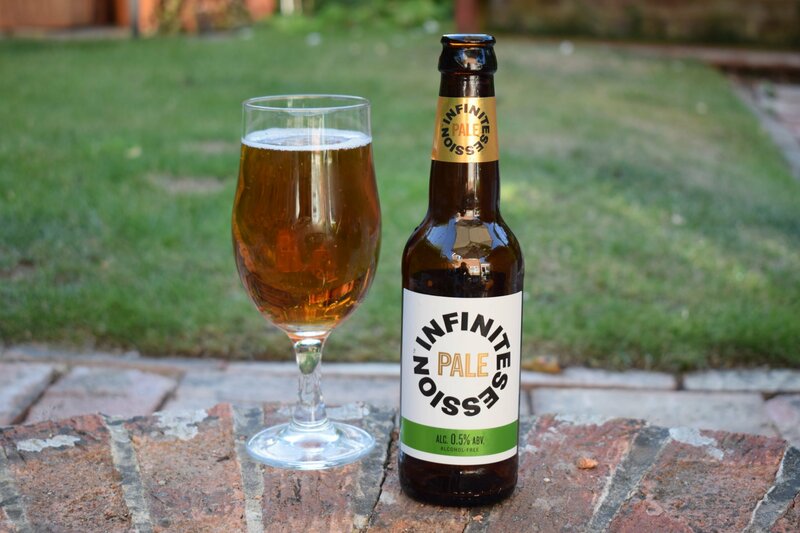 Malty and fruity in aroma and taste, “Pale” is is a complex, well-balanced beer that’s perfect for winter evenings by the fire or with a burger in the sunshine come summer time. It’s similar to Brewdog’s “Nanny State” but has a more interesting aroma with more subtle hop flavours. As a result, this will likely appeal to fans of traditional ale as well as hopheads. Brilliant stuff.